Crypto.com announced a number of news in November including the launch of Crypto.com Chain, as well as the MCO Visa Card program receiving the green light to roll out cards in the U.S.
On Nov 20, we announced Crypto.com Chain, the new native blockchain solution that will enable instant crypto payment transactions, and the creation of the CRO token, which will enable cross-asset intermediary currency settlement. The launch of Crypto.com Chain also follows with the announcement of the CRO token airdrop for all eligible MCO token holders in the Crypto.com Wallet & Card App. Read the full article here and visit www.crypto.com/chainfor the whitepaper. There were two community Q&As that took place in the month. 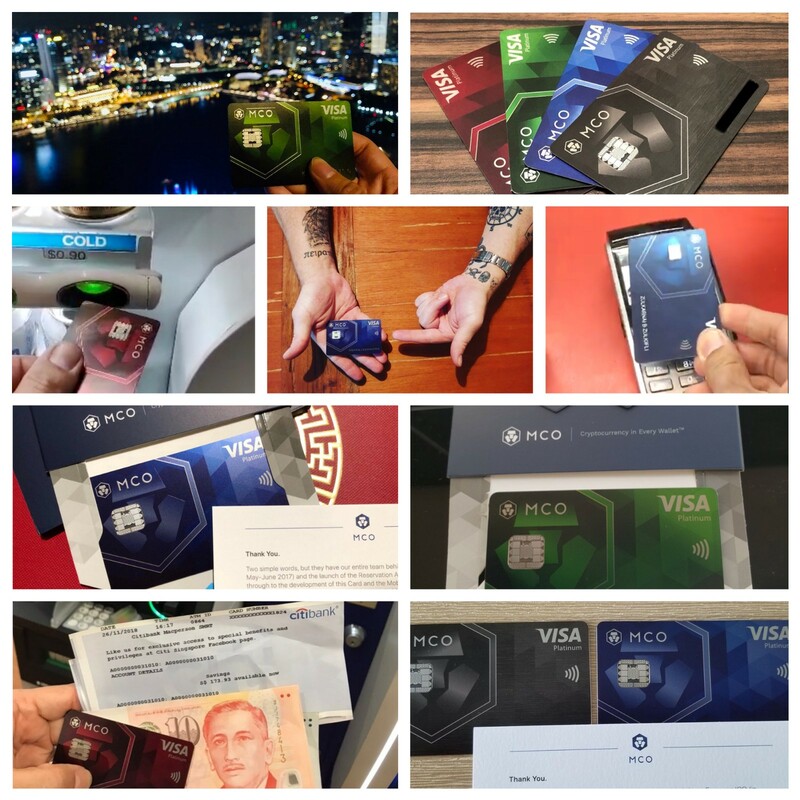 Throughout the month of November, Singapore users have been actively sharing their MCO Visa Card activities including unboxing, making payments, as well as ATM cash withdrawal experiences both local and abroad. On Nov 13, our Chief strategy officer, Eric attended the Singapore Fintech Festival where he connected with global leaders to discuss current issues in the Fintech realm. 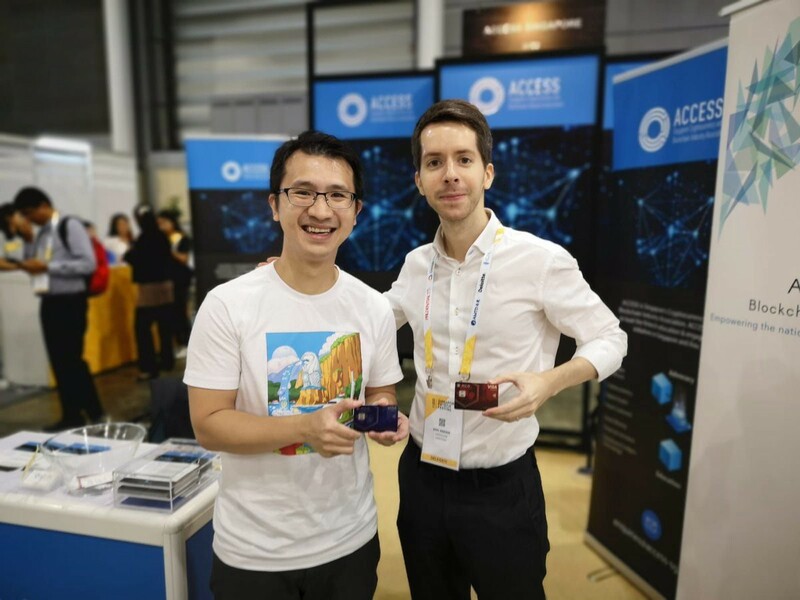 At the event, Eric shared a moment with the Chairman of ACCESS, Singapore’s Cryptocurrency and Blockchain Industry Association, Anson Zeall, who were among the many to receive the MCO Visa Card when Crypto.com started shipping in Singapore. 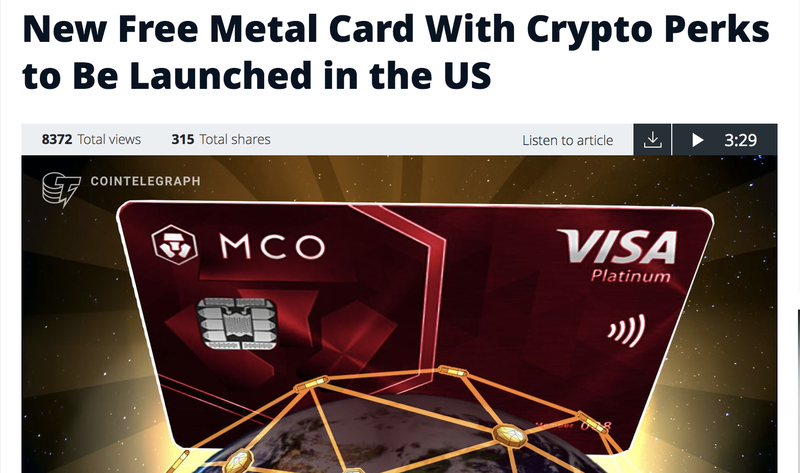 Crypto.com was featured in Coin Telegraph - “New Free Metal Card With Crypto Perks to Be Launched in the US” that covered Crypto.com’s announcement to issue the MCO Visa Card in the United States. We shared a product overview with the community to help more people to learn and understand more about the Crypto.com Card & Wallet App. On Nov 16, Crypto.com went live on Delta Direct where all the latest updates will now be available. Follow us there!